Sales managers have a lot of different tasks on their plate, ranging from administrative to hiring to serving as a go-between for the sales team and upper management. But the core of the sales management job is, of course, managing a sales team. Becoming a great sales manager requires mastery of the following skills... but if you don't have one or more of these skills, now's the time to start developing them. Coaching your salespeople is probably the most important part of your job. So mastering the skill of coaching and maintaining a regular coaching schedule is particularly important. It's your best tool for figuring out what's gone wrong with a salesperson and how to fix it. In most cases, coaching involves the same kinds of skills as selling; it works best if you guide the salesperson to uncovering the problem and the solution rather than simply telling him what it is. 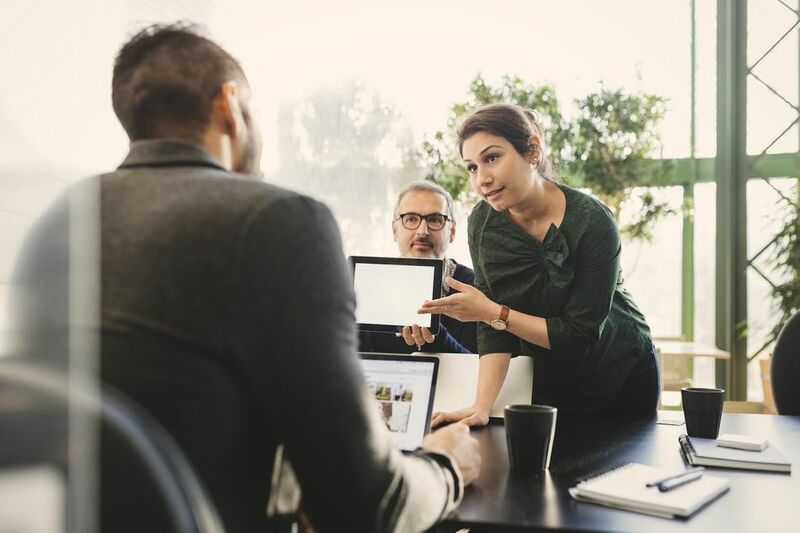 Many new sales managers fall into the trap of becoming buddies with ​their salespeople, especially if they've been promoted up from that very team. However, in order to be an effective sales manager, you have to be an authority figure. On the other hand, you can't go too far in the other direction or you'll become a tyrant – and your salespeople won't be inclined to listen to you, much less trust you. Learning to walk the line between those two extremes is a crucial management skill in any department, but it's particularly important for a sales manager because salespeople are notoriously hard to manage. Knowing how to listen is just as important for a sales manager as it is for a salesperson. You're responsible for the success of your sales team and if you don't know what's happening with them you won't become aware of problems until they become really serious – at which point your own boss will probably be breathing down your neck. If you pay close attention to your salespeople and encourage them to talk to you, you can pick up on problems while they're still minor. When a salesperson is struggling, he's apt to become emotional. That's why it's important that you keep your own emotions under control. You've got to let him vent without taking what he says personally. Once he's talked out some of his frustration, you can then guide him to a solution. But if you get frustrated and upset yourself, you'll just make it harder for him to recover. You'll probably face other provoking situations, from dealing with a hostile customer to firing a non-performing salesperson, and in each of these encounters keeping your cool will help you to bring things to the most positive resolution possible. This is probably the most difficult skill for sales managers to master, especially those sales managers who were formerly salespeople themselves. While you're responsible for giving your team the support they need, it's ultimately up to them to succeed or fail. When you see a member of your team making a glaring mistake, the urge to sweep her to the side and take over will be almost irresistible; but you have to resist the urge and let her learn from her own mistakes. Similarly, you can't rescue your salespeople from the results of their errors. The only way they'll become better salespeople is if you give them the chance to fall on their faces and then pick themselves up again. It's also important to set boundaries with clear consequences for violating them. For example, if a salesperson is constantly late to team meetings, explain to him that he needs to do better and tell him that from now on there will be a penalty for being late, then hold him to that penalty.